Kitten has now introduced wide range of critical cleaning & hygiene control products for Pharmaceutical, Food & beverage, healthcare & HoRaCa market. 1 - Aricasa, Italy Make manual cleaniong tools. 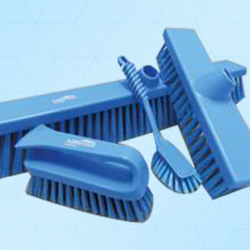 Hillbrush has been manufacturing Manual Cleaning Brushfor nearly 100 years. Dual Retention System (DRS ) technology minimizes the risk of filament loss which can have severe consequences in the food manufacturing industry. Produced with food grade stainless steel staples and anti-microbial epoxy resin. Designed for areas that require exceptionally high standards of cleanliness and bacterial contamination control. A silverion base and filaments inhibit harmful bacteria (E. Coli, Litsteria) and minimise filament loss. Designed to minimise the risk of foreign object contamination in the food manufacturing industry. Every component is metal and x-ray detectable, including the filaments and resin and are not affected by time, moisture, cleaning and abrasion. 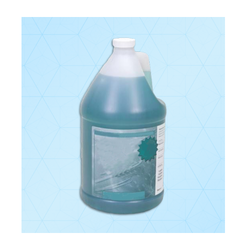 Medical Liquid Cleaner is a low foaming multi-enzyme detergent presoak cleaner for medical & pharmaceutical instruments and apparatuses. It Is a blend of enzymes that are effective in the removal of all proteins, blood, fatty tissue, Etc. Med is sold in concentrated so user can dilute as and when the need. Very cost effective. Rust & Stain Remover Is A Cost Effective way to improve surgical instrument performance & appearance. Removes rust & stain from metal. Enzyme magic glass and stainless steel cleaner is formulated for use on windows, stainless equipment, mirrors, and glass fixtures. 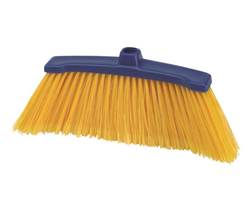 It contains a proprietary blend of enzymes and surfactants which break down dirt, oils, grease and other organic material leaving glass and stainless steel surfaces clean and streak free.